Pioneers traveling to Oregon by land and by sea in the mid to late 1800s packed more than pots and pans. Oregon heritage comes alive when told through the remarkable tales of the Willamette Valley’s first cultivated roses. Learn about roses with roots deeply entwined with Oregon’s past, yet thriving and blooming in the present. 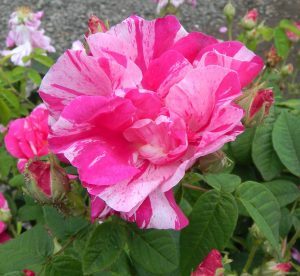 Many of these early roses are flourishing in historic cemeteries and at heritage sites thanks to their natural hardiness and diligent care of volunteers. Discover where you can see these remarkable displays of living history linking the past to the present and why it is important to keep them blooming.